Great news, fam! It is now way easier to track job changes, reduce churn and increase acquisitions all inside your Salesforce account! Every month, 3-6% of your contacts in Salesforce will change jobs. If you have 30,000 records in your CRM or marketing automation software, then at least 1,000 of your potential new clients will be lost each month. As in gone. Forever. But don’t worry, we’ve got your back! The new TrackJobChanges integration with Salesforce fixes this by automatically tracking job changes for each of your connections and alerting you when the job change occurs along with the updated contact information. Step 1. Click here after you're logged in and enter your Salesforce credentials. Note that we don't store your username or password! This is an Oauth service provided by Salesforce to safely and securely allow 3rd party apps (like us!) access to your account. Step 2. Wait while your custom fields are installed! We'll email you when it's done. Step 3. Update the new TJC Should Sync? 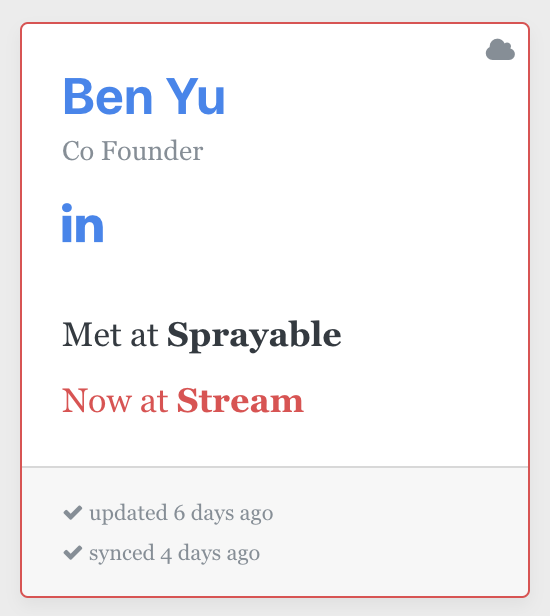 field to be TRUE for all Leads and Contacts you want to have synced. The unique custom field is TJC_Should_Sync__c and it is on both Contacts and Leads. In order for us to know which records to sync and which to leave alone, you need to set those to TRUE (checked) on any Leads and Contacts you want to run through TrackJobChanges. You have a few options to do this at scale, but what we recommend is to create a Lead Report and/or Contact Report with whatever filters you want to set. Your report only needs to have two fields: Record ID and TJC Should Sync? Export the report and open it in Excel. Enter TRUE under the TJC Should Sync column for all rows. Now use the Setup > Data Management > Data Import Wizard to overwrite the TJC Should Sync? field and set it true on all the IDs you downloaded in the spreadsheet. See this Salesforce support article about this step. Step 4. Add the TJC fields to your Lead and Contact layouts! We like to have it right at the top with all the basic Lead and Contact data. Get here by going to any Lead or Contact and clicking "Edit Layout" on the right side (for Classic) or under the Gear icon in Lightning. Step 5. Check out that TJC data in Salesforce! You'll know the sync is done when you have Leads and Contacts where TJC Has New Job? is checked and there's a TJC Last Synced date populated. Step 6. Continue syncing your data. After the first sync you'll need to tell TJC when you have new records to pull down or when you see new job changes to push up. 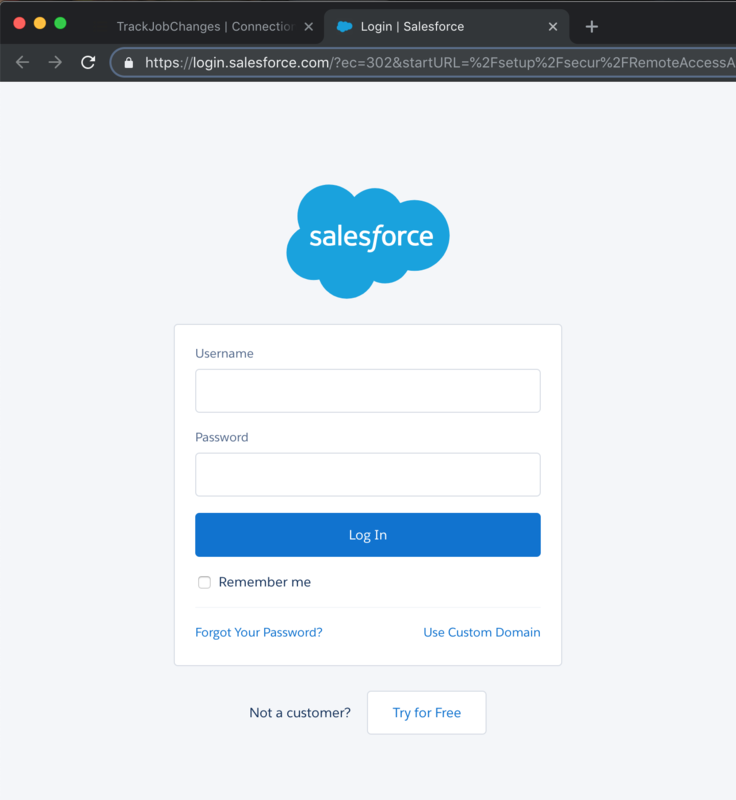 You'll see a new menu on your dashboard after you've made your initial Salesforce connection. You may be asked to re-authenticate with Salesforce -- that's on them, not us!